GBPUSD fell due to the weak index data from the UK. Today the GBPUSD market will be volatile due to BOE rate announcement. The US is also publishing CPI data. 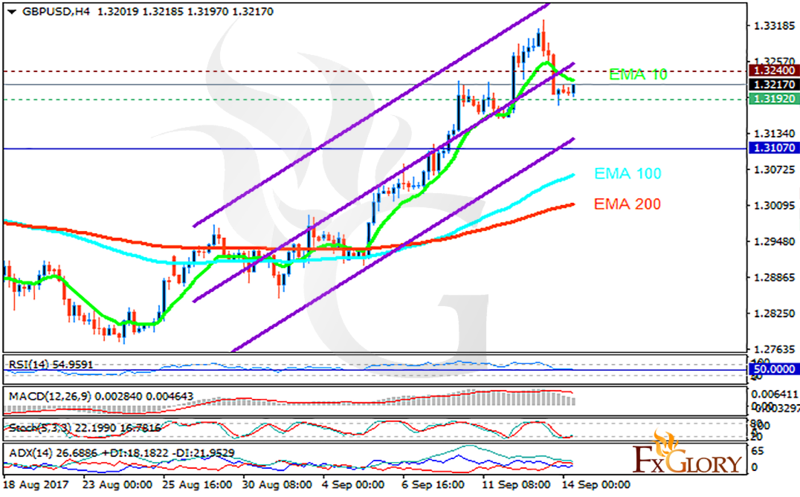 The support rests at 1.31920 with resistance at 1.32400 which both lines are above the weekly pivot point at 1.31070. The EMA of 10 is moving with bearish bias in the ascendant channel but it is above the EMA of 200 and the EMA of 100. The RSI is moving in 50 level, the Stochastic is moving in low ranges and the MACD indicator is in positive territory. The ADX is not showing any clear signals. The indicators are not presenting clear signal therefore it is better to wait for better chart set up.